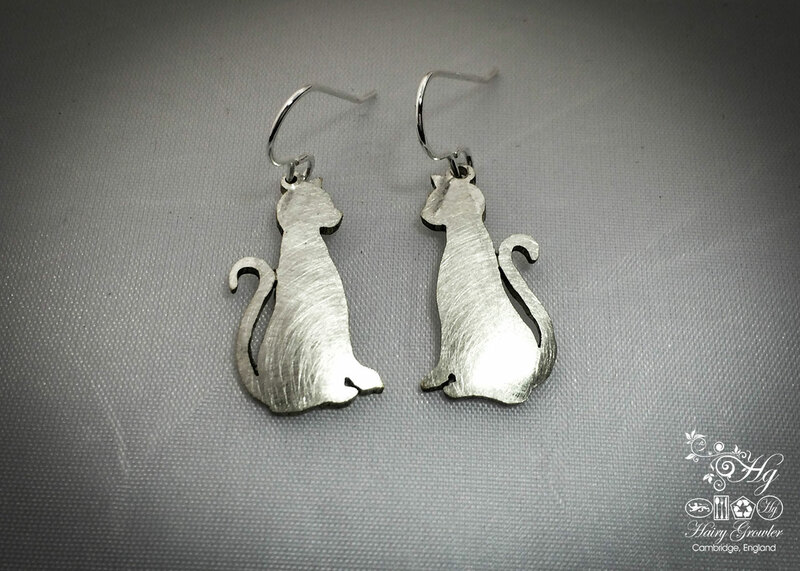 Beautiful feline earrings designed especially for us cat lovers. 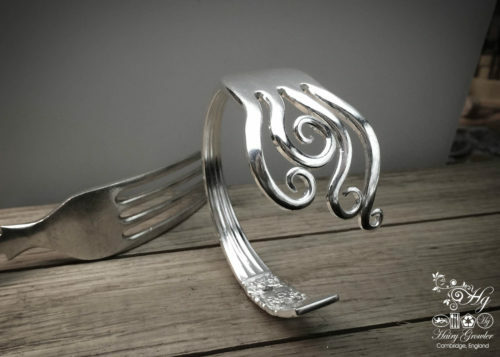 Totally unique, each pair is delicately and lovingly created from the bowl of old, unwanted vintage spoon. 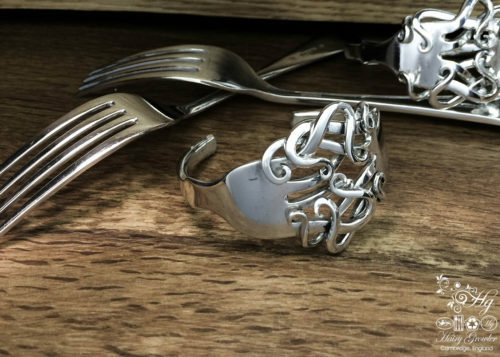 If the earrings are to be a present you are welcome to request the actual ‘donor’ spoon which will also be carefully ‘worked upon’ to provide a fab explanation to the ethical and green origins of the earrings. 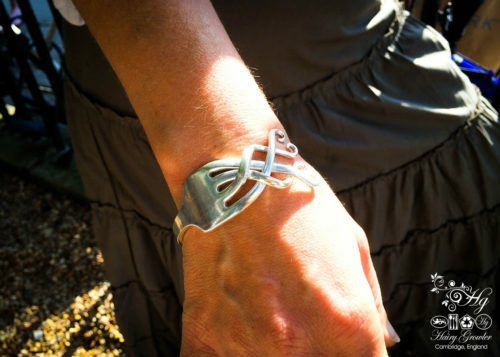 The handle can also be inscribed with a small lovely message, date, etc. 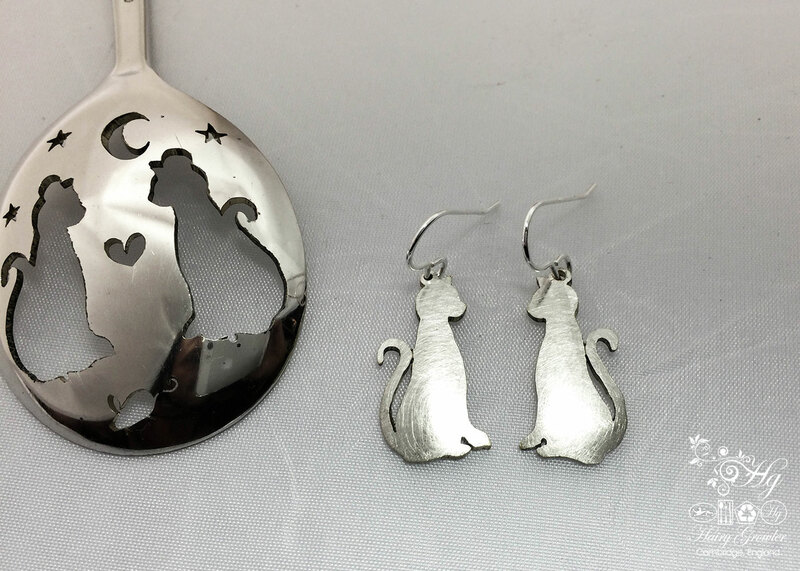 These would be a great gift for any cat lovers! Made with love and attention! My wife has been showing me pictures of Les’ work for months via facebook. I finally took the hint and bought her some earrings recently. They arrived in no time at all (it may be a quiet time, I don’t imagine the service will be as quick closer to December 25th of February 14th!). 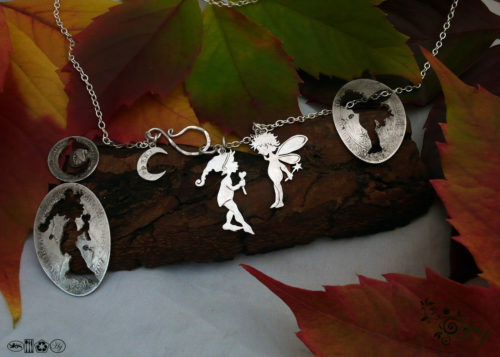 The earrings themselves are excellent, I bought the donor spoon with an engraved message as well and I’m really glad I did. Quite how the objects are liberated from their donor items without marking either amazes me. 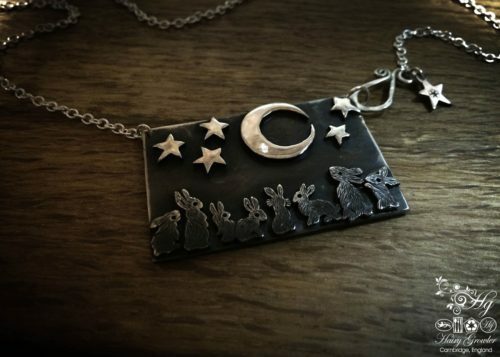 There is a certain ‘hand made’ feel to them, the stars on the spoon aren’t perfectly symmetrical for instance but I think this adds to the charm. Les is a master craftsman and I salute him.